Scottish and Southern Electricity Networks (SSEN) own electricity networks comprising 106,000 substations and 130,000 km of overhead lines and underground cables across one third of the UK, delivering energy to around 3.5 million homes and businesses. SSEN are responsible for the delivery of all aspects of the project. The University is responsible for development of a series of models that will identify and develop the complex interactions of the Shetland electricity network, that represents vital understanding in the development of “smart grid” applications. 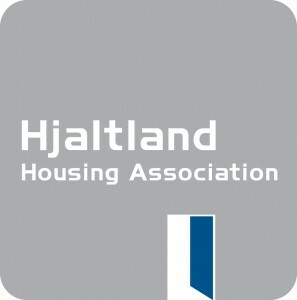 Hjaltland Housing Association Ltd is the main independent housing agency in the Shetland Islands. Hjaltland aims to deliver a high quality housing service to communities throughout Shetland and is committed to ensuring remote communities remain viable through a culture of sustainability and continuous improvement. The Association is liaising with the community to facilitate the domestic demand side management trial. Advanced electric storage heating and water heating systems will be installed in around 234 homes, providing greater comfort and control to the occupants. The Association is also partly funding the trials. SHEAP operates the existing Lerwick District Heating scheme. The company is installing a new electrical boiler as part of an upgrade and extension of the district heating scheme. The new boiler will optimise the use of renewable generation from the 6.9 MW windfarm at Gremista, and allow improved management of the network. Smarter Grid Solutions (SGS) provides innovative smart grid control systems and power systems consultancy for power companies. SGS products and services help network operators connect more low carbon technologies to the existing grid and defer or remove the need for expensive and time-consuming grid reinforcements. SGS is working on the development and deployment of the Active Network Management (ANM) scheme for NINES, which will control the other smart grid technologies and ensure they work together to balance energy generation and demand efficiently. The company delivers the necessary solutions to implement smart grid systems on the Islands.